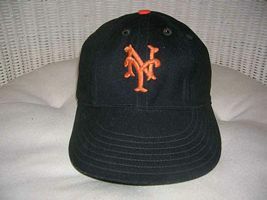 The Giants began play in 1883 as the New York Gothams. 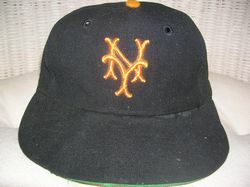 After the 1957 season the Giants relocate to San Francisco. 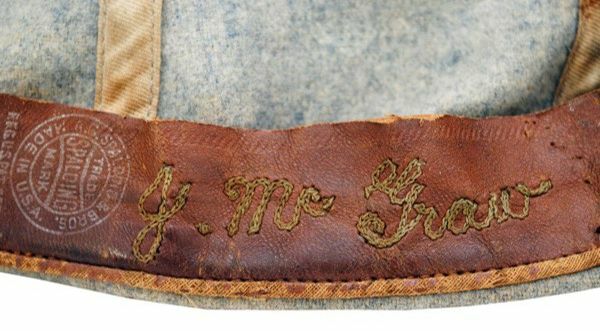 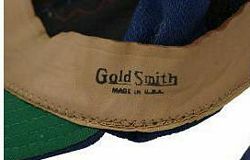 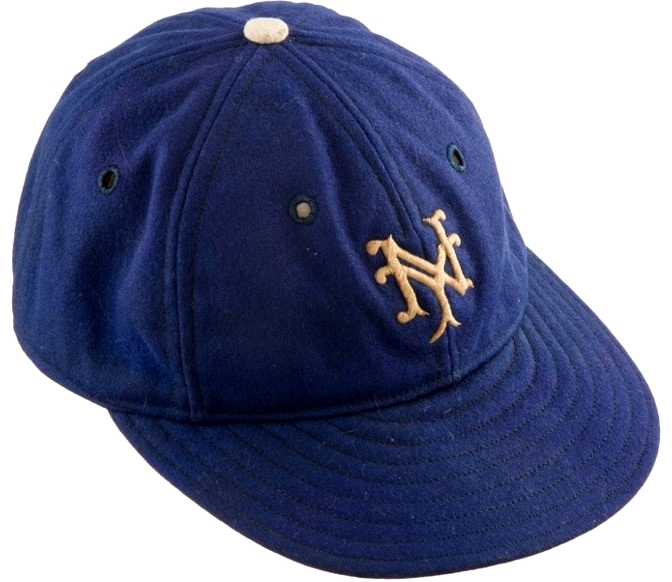 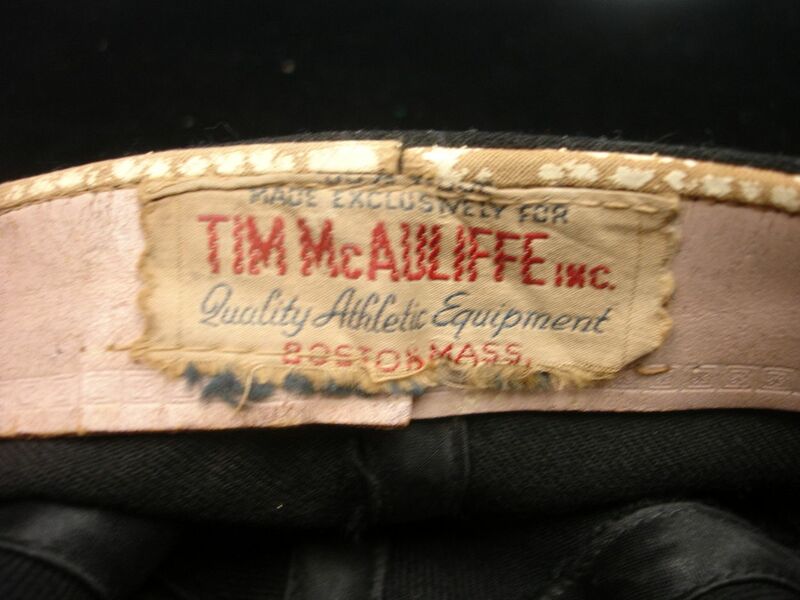 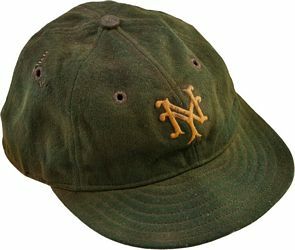 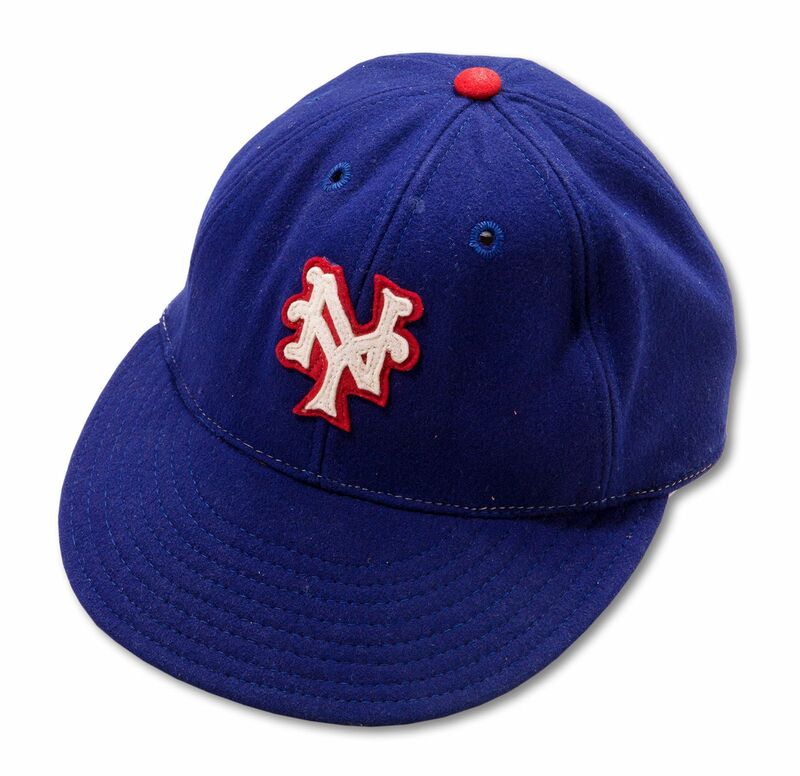 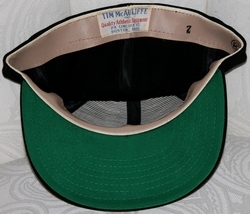 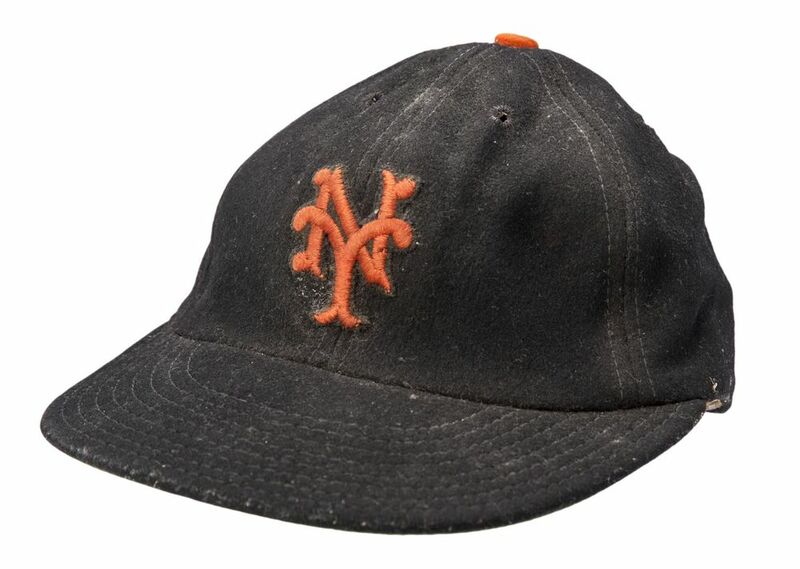 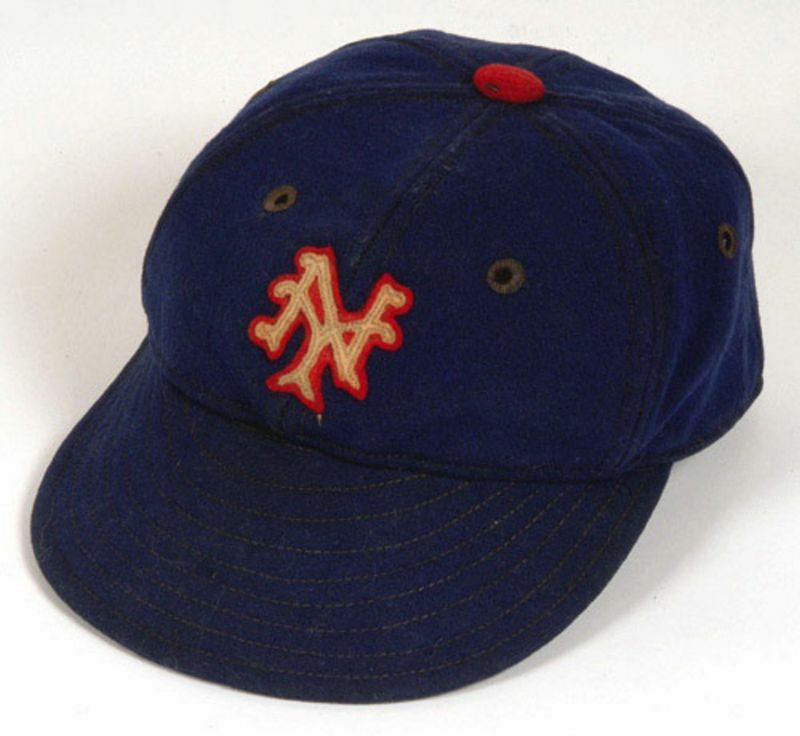 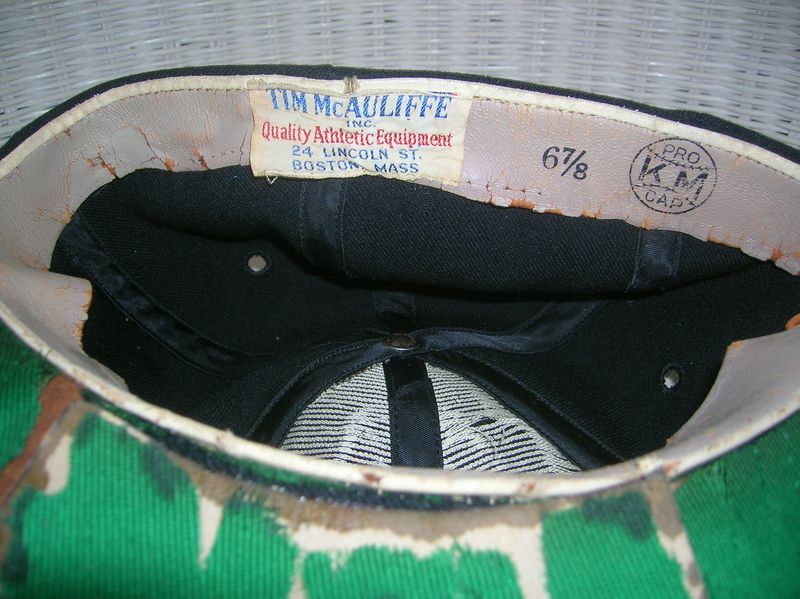 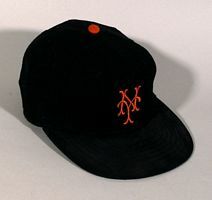 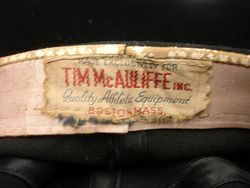 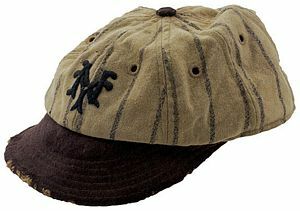 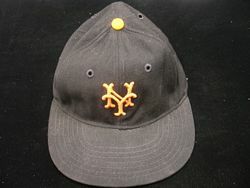 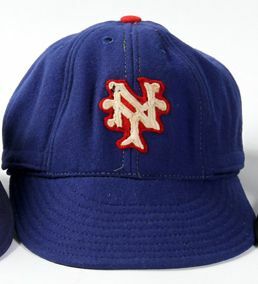 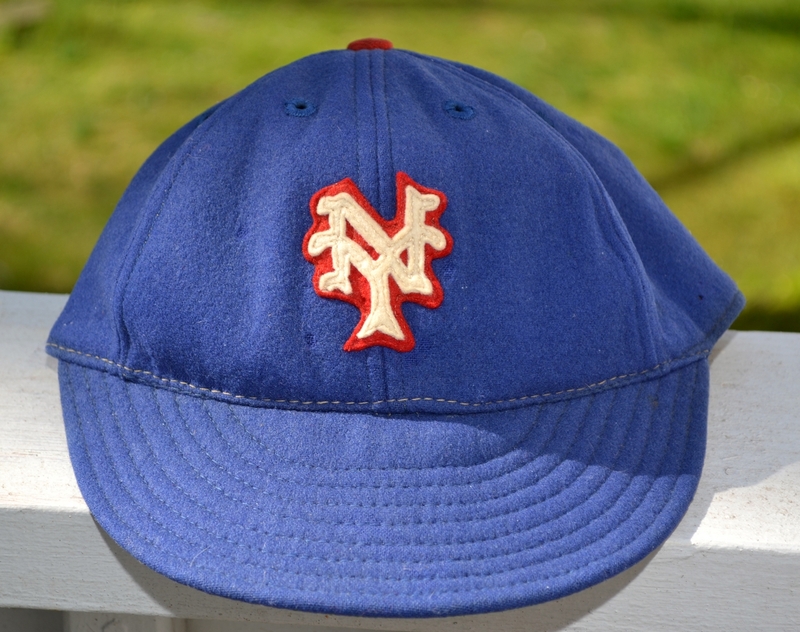 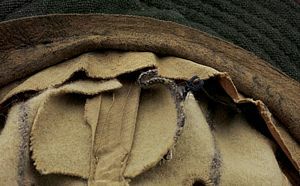 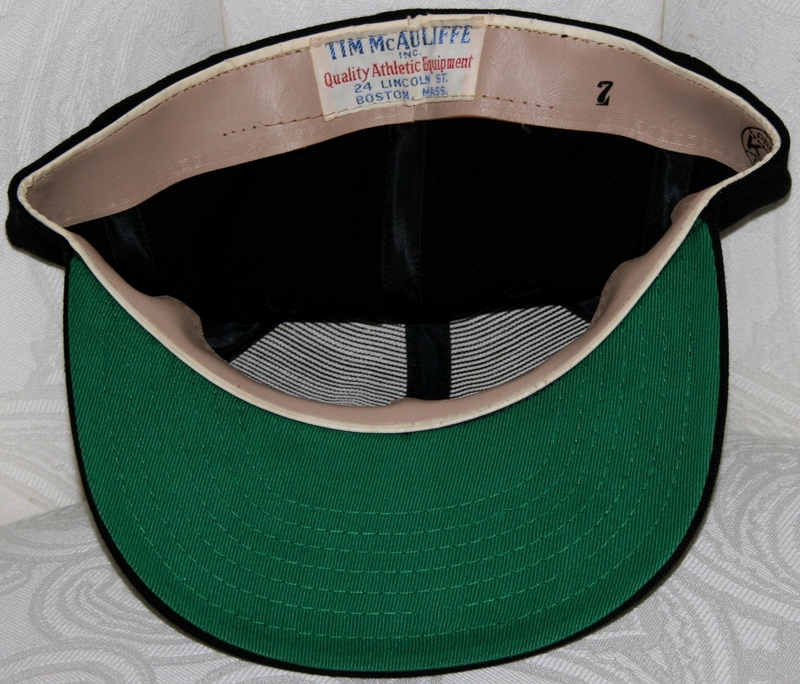 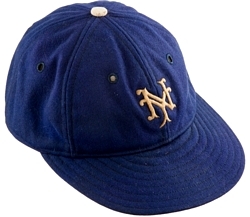 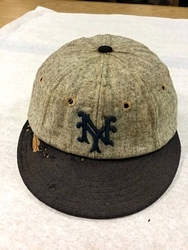 This style home cap was first worn in 1917; in 1919 the road cap becomes grey with red pinstripes. 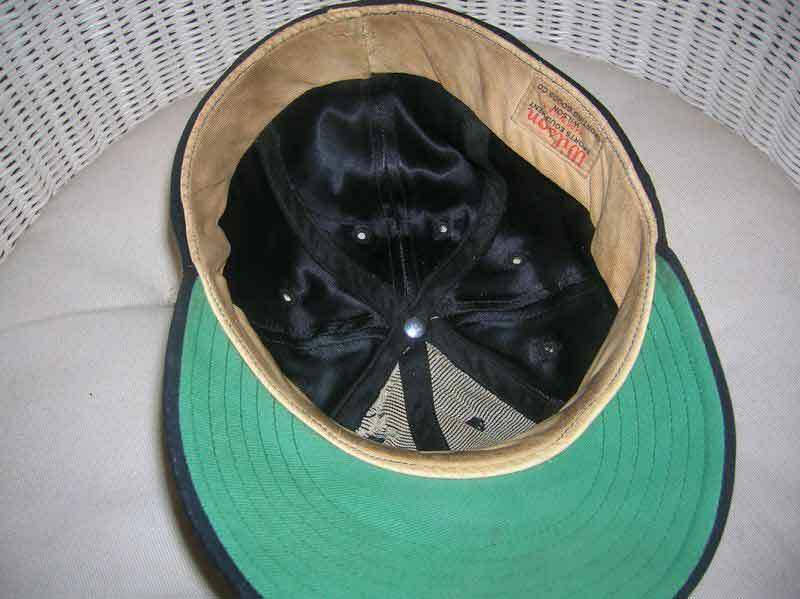 The home cap remains the same; the road cap changes to solid grey. 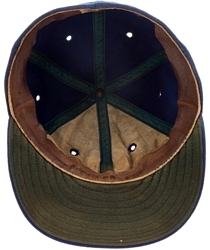 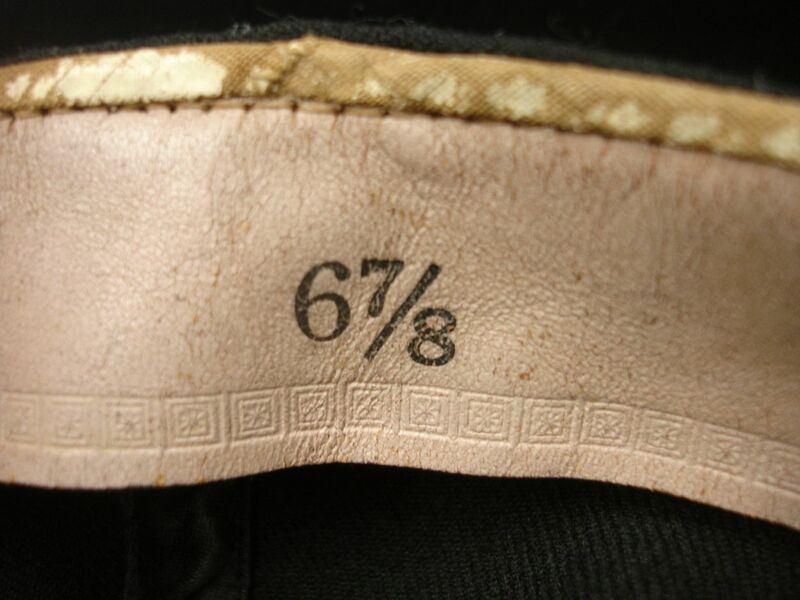 The home cap is unchanged. Pinstripes return to the road cap. 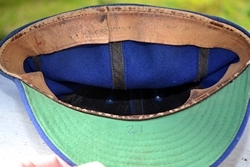 Home cap is white with red visor and red logo, road cap is grey with navy visor, red logo. 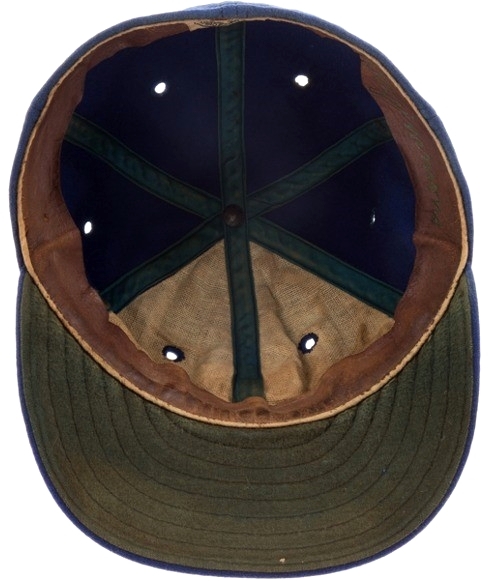 Road cap pinstripes changed to gold. 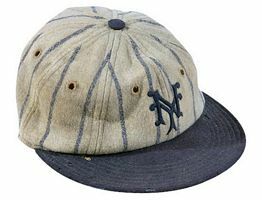 Pinstripes removed from home and road caps. 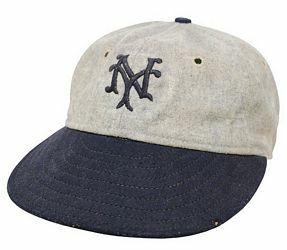 Navy pinstripes return on home cap. The Giants change back to blue and white. 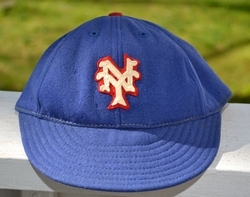 Red returns to the color scheme. The Giants return to black and orange, carrying over the same logo for 2 seasons. 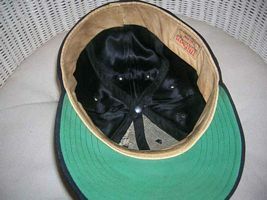 Note this cap is 8 panel with a satin liner. 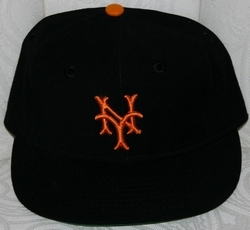 The logo is revised. 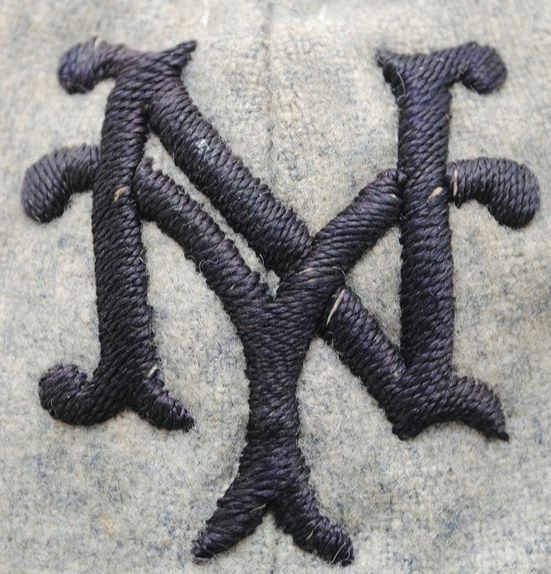 The serifs on the tips of the letters get larger. 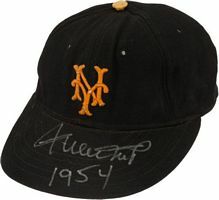 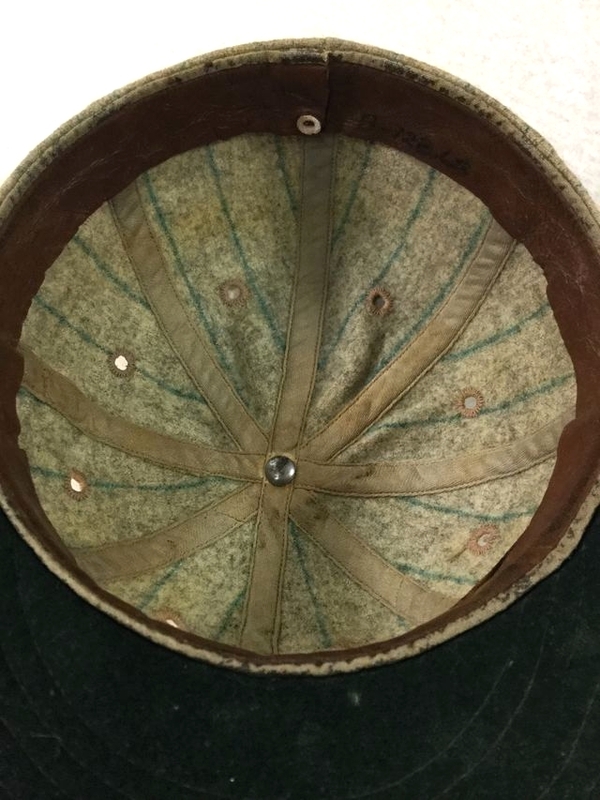 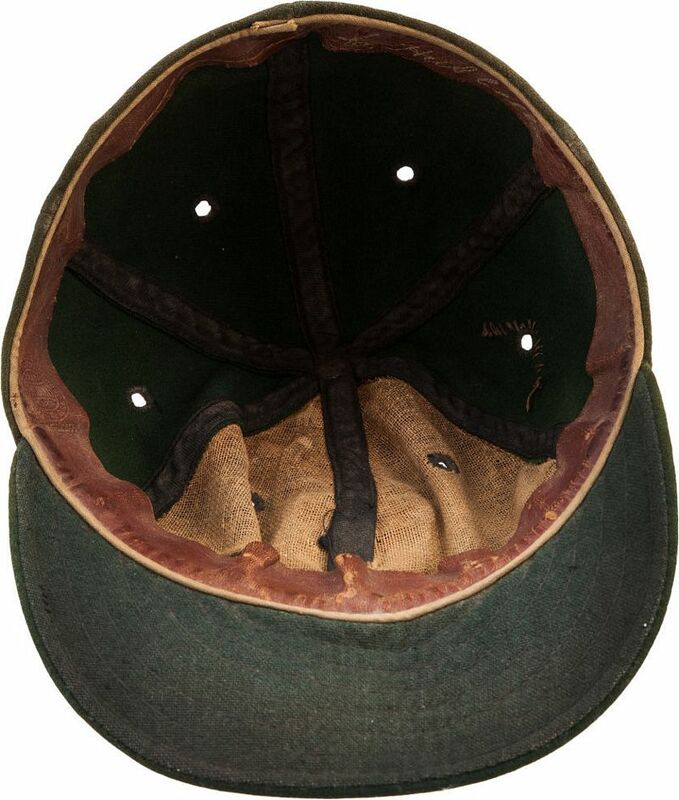 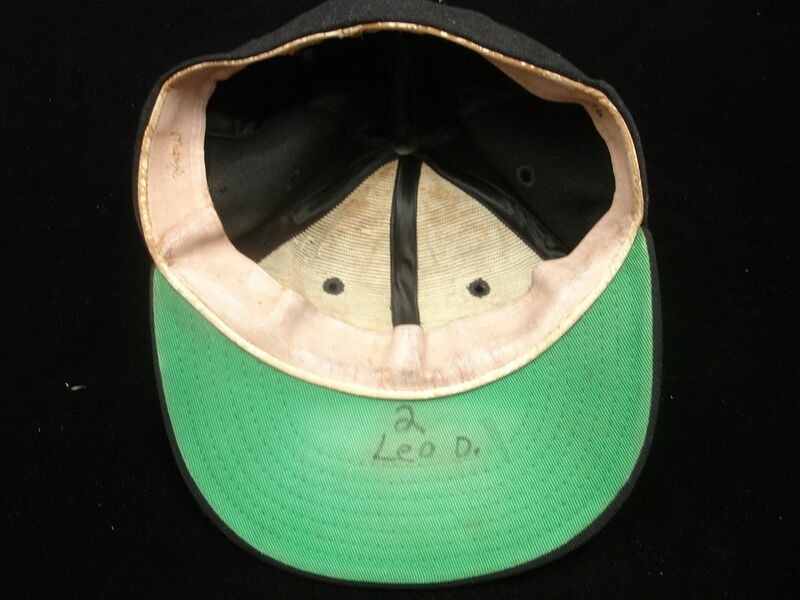 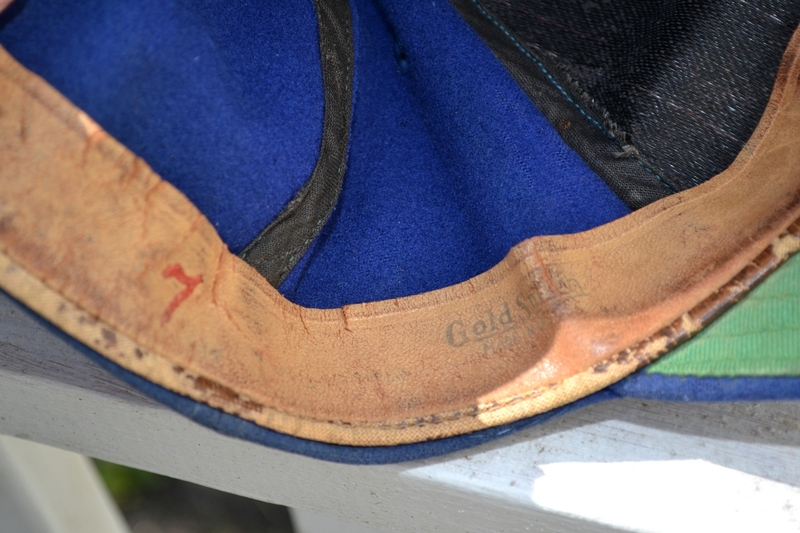 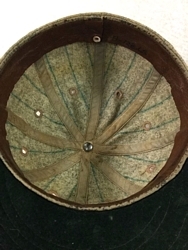 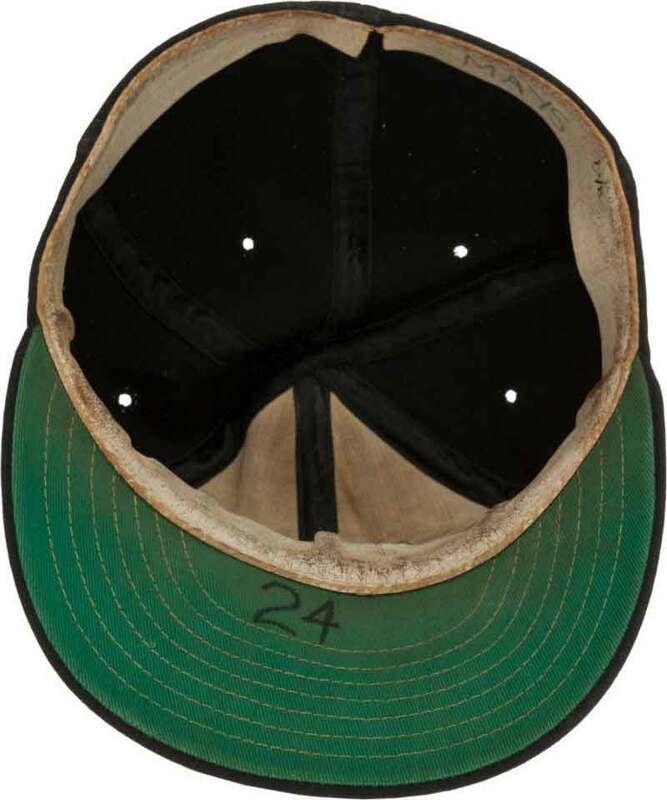 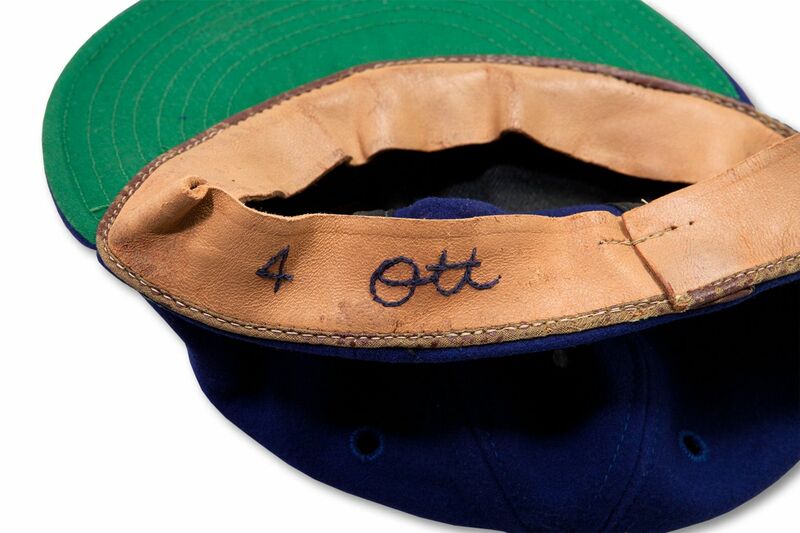 This is Bobby Thompson's cap from his famous shot. The logo is a bit thinner, the serifs deeper, the Y arms less curved. After the 1957 season the Giants relocate to San Francisco.